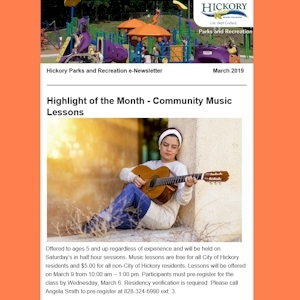 Want to know more about the City of Hickory each month? 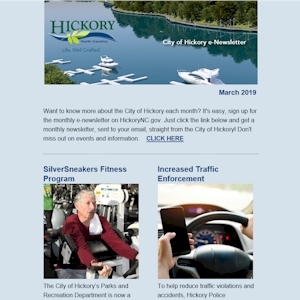 It's easy, sign up for the monthly e-newsletter on hickorync.gov. Just complete the form below and get a monthly newsletter, sent to your email, straight from the City of Hickory! 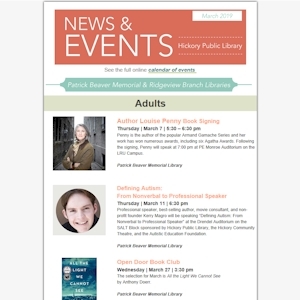 Don't miss out on events and information.